Craft Sessions Head Quarters. Car's name is Rex. Tent's name is Starlight. Apologies for the quietness of the blog. I am finding that getting to instagram is about my limit most days at the moment in terms of social media. Some weeks are like that though. When wifi means sitting in the dark, on a bench near a campground reception, after putting the kids to bed, then I am giving it a pass. Thanks to an afternoon off today, next week I have two posts ready to go. I'm feeling like a champion! The first is normal post with some ramblings on craft and the second is announcing the three "Extra" Saturday afternoon classes. As most of you are aware we have changed the format of this year's event to give you some extra "free" crafting time. But if you feel an urge for more learning, then we wanted to offer something more structured. These workshops are completely optional – you should feel free to sit and sew with new friends in front of a fire if you like, or go for a walk in the stunning Yarra Valley bush instead if that tickles your fancy. They are shorter one hour workshops and you should feel free to just turn up on the day if you feel like it. Because of this they aren’t limited in size like our normal workshops are. Thanks to all of you who completed our survey a couple of weeks ago about what class three should be. The result was resoundingly one sided. So keep your eyes out for that blog post next week. While we have now fully booked some knitting classes, we still have some space in the amazing Kirsten Johnstone's Seamless Hat class. 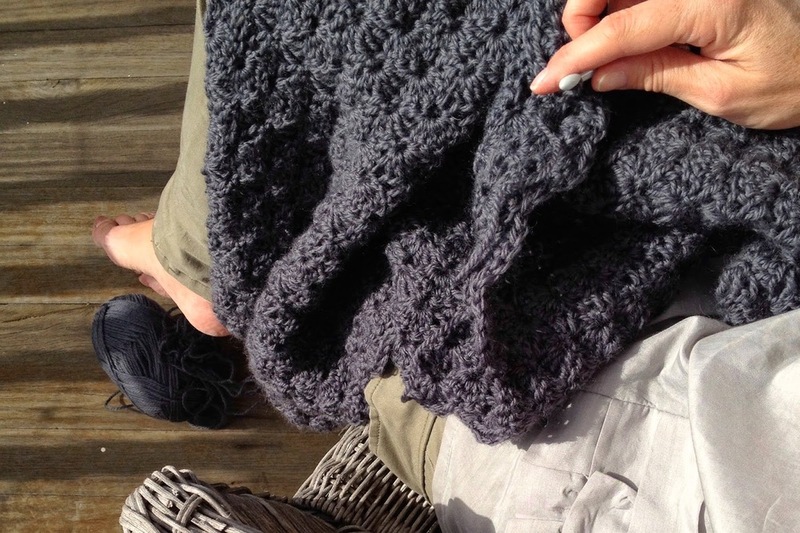 If you are wanting to improve your knitting then this is the class for you. Kirsten is an amazing knitwear designer who designs for the likes of Brooklyn Tweed and Shibui. She has designed a hat specifically for this workshop (which I don't have pictures of yet - coming soon!) but if you want to learn more about seamless knitting or techniques such as a provisional cast on then Kirsten's class is a perfect fit. She is also a top woman! I really like her and you get to spend the day with her. Picking her brain about all things knitting…. There are a couple of classes that are almost completely full - Belinda's Weaving has just a few spots left as does Sophie's Leggings class. There is only one or two spots in Jules' Steeking class and a couple in Melissa's Embroidery. So if those workshops were on your must do list then you need to get your registration's in. I also meant to mention Mel Tonzig's crochet classes. I have been meaning to do a proper post on her work - just because I think she is so amazing but haven't got there yet. I planned to post an image or two for you to see what you could get up to if you learnt to crochet but I'm about to post four as I couldn't decide on just two. How gorgeous is her work…. All photos by Mel Tonzig. You can see more on Mel's blog but also check out this interview with her on Wholehearted Journal. Most other classes still have some space but all are filling up daily so get your skates on my friends if you are interested in coming.